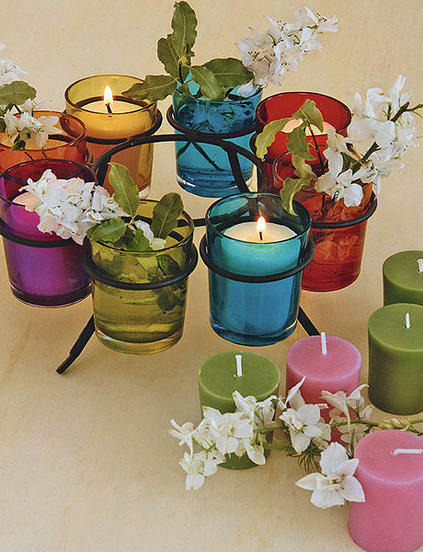 15 table decorating ideas with candles - Light your home and garden! Summer is nearing and we spent much more time outside enjoying the good weather. Whether you are planning a brunch or a small dinner inside or outside the house, candles are the perfect complement to decorate the table. 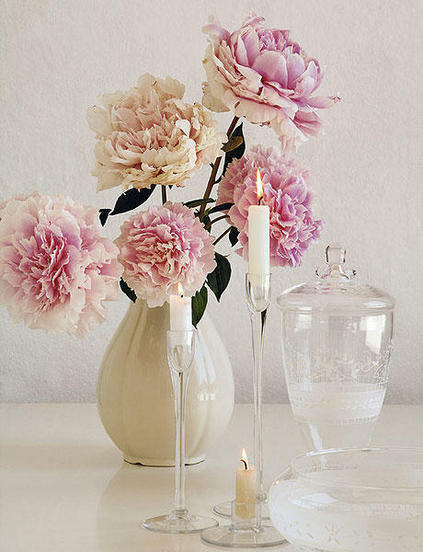 Just look at these lovely table decorating ideas with candles and get some inspirations. Choose a variety of fruits like oranges or grapefruits, make a slit in the top of the fruit and empty a part of the pulp with a spoon until you can fit the candle inside. Place the oranges in a big glass bowl, add water, leaves and fresh flowers in a contrasting color to the fruits. Here were used bougainvillea blooms and ivy leaves. 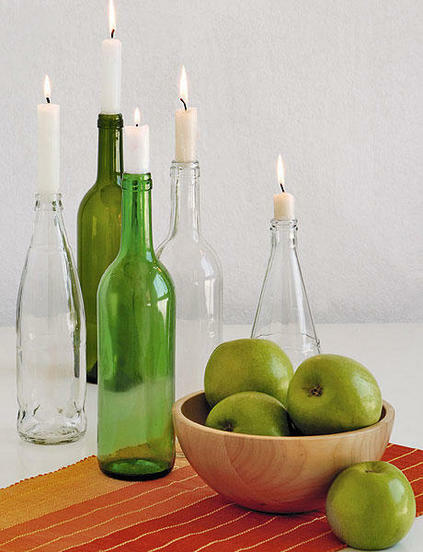 Save empty glass bottles of different sizes, shapes and colors and use them as candlesticks for plain white or cream colored candles. Group them to get the perfect decoration for a rustic or vintage themed table. 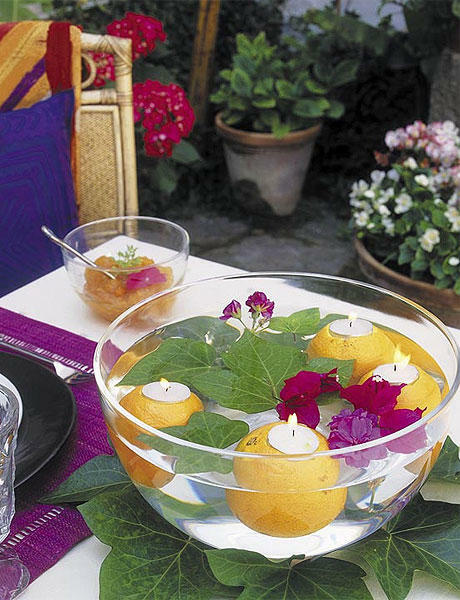 If you want to add a refreshing note on the table, this centerpiece will captivate you. 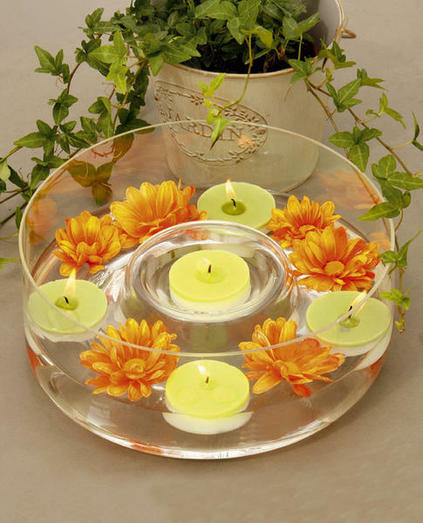 To do this we used a flat glass bowl filled with water, floating tealights and orange mums. This is so simple but charming idea. 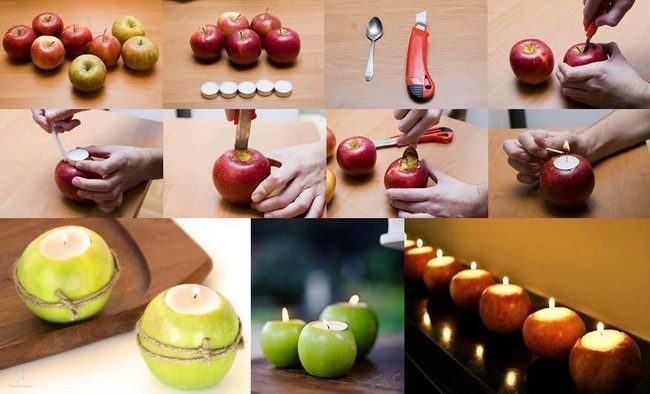 Make a small hole in the top of some green apples and place inside small candles. 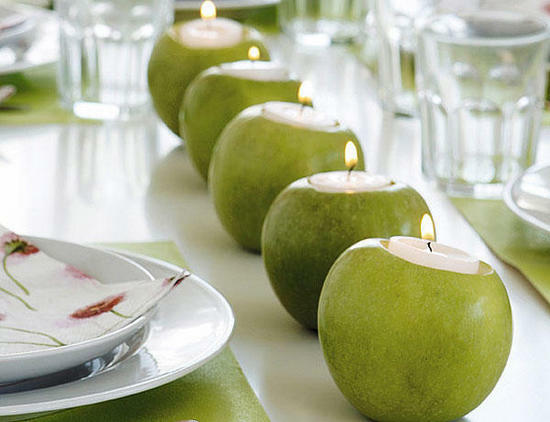 Put the apple candle holders in a line in the center of the table and you will have a very natural and fresh centerpiece. 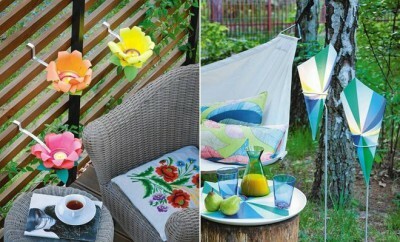 A perfect idea to fill the table with colors! 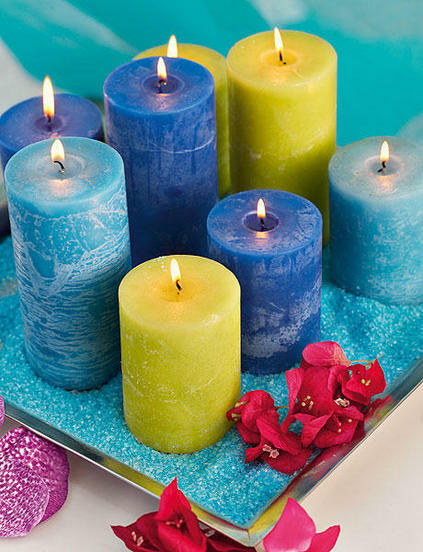 Place candles of various sizes and colors on a tray, filled with decorative sand. Blue and Yellow are the perfect combination for a sea-inspired theme. You can use almost everything that you find at home. 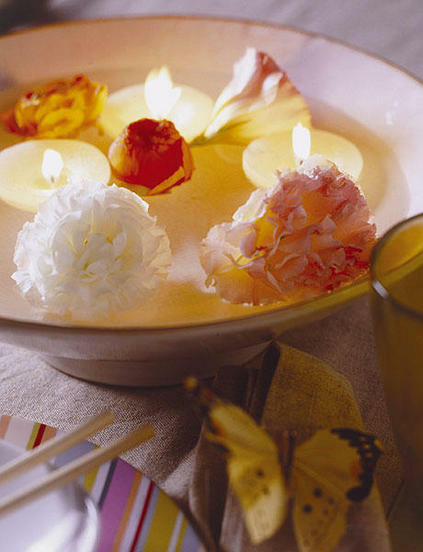 Just fill a bowl with water and place floating candles and fresh flowers. In almost every kitchen you can find some unused glass jars. 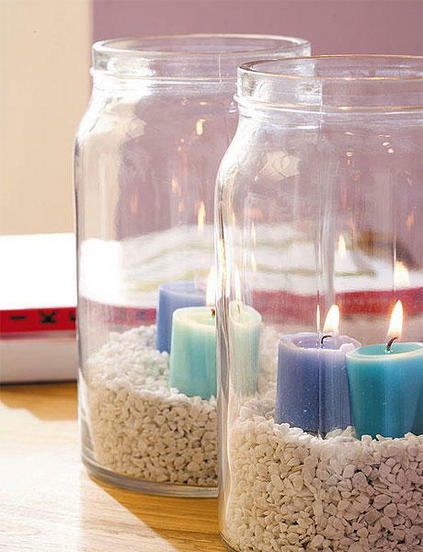 Fill them with pebbles or decorative sand and place inside nice scented candles that remind you of the sea. 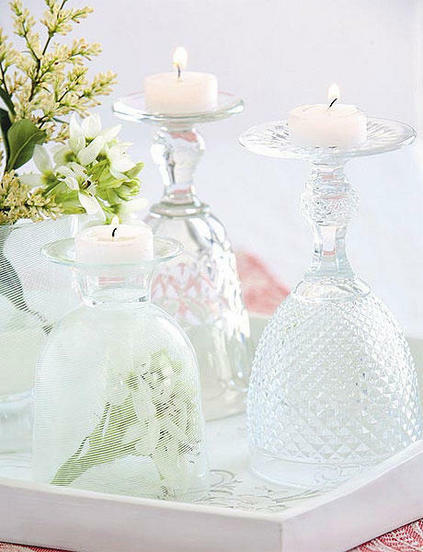 Glass containers are very versatile because they serve both to decorate the table and to be used as elegant candle holders. 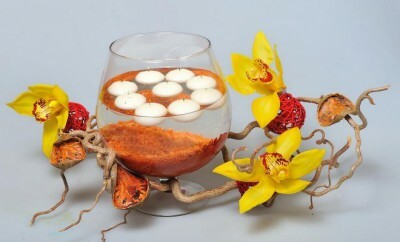 In this case,fill a glass with sand or sugar and place a candle in the center. Use wine glasses as candlesticks. If you have glasses of different shapes and sizes, the composition will be even better. Put them all together and upside-down on a pretty tray and place the tea-lights on top. Do you have a lot of old coffee cups? You can recycle them and turn them into original candle holders. Cut a wick and secure it between two wooden sticks horizontally supported on the edges of the cup. 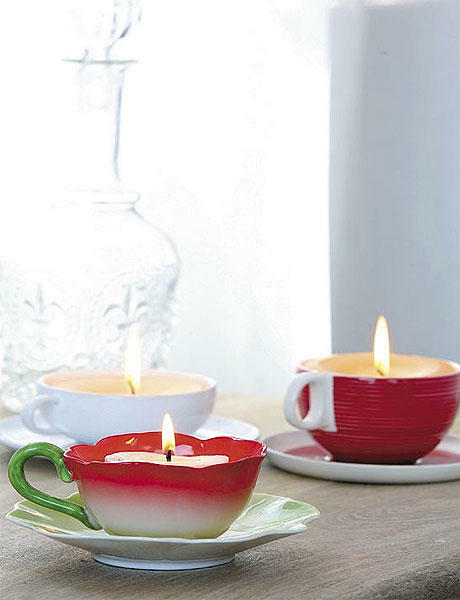 Melt the wax, pour it carefully into the cup and wait for it to cool. 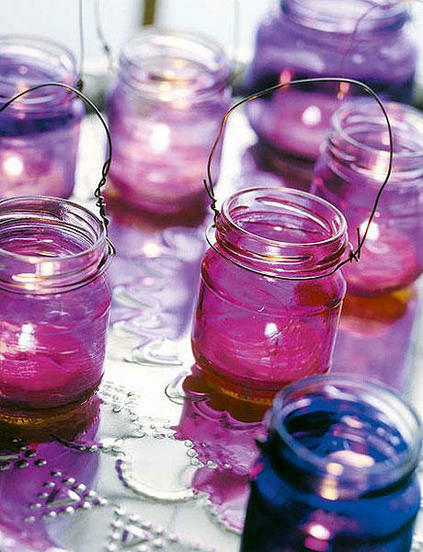 Reuse the glass baby jars to make candle holders that you can hang somewhere in the garden. 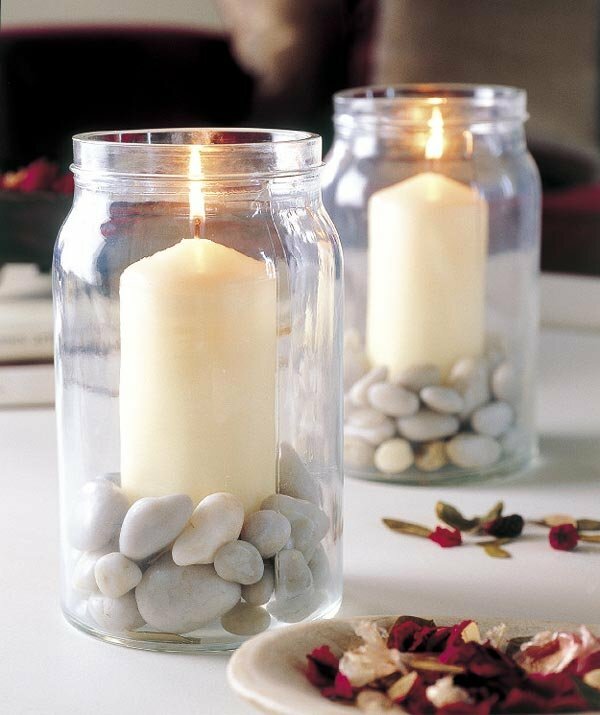 Do not throw away the glass yogurt jars because they can become a beautiful centerpiece for your table. 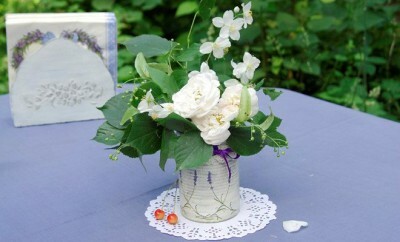 Measure the diameter of the cup, cut a strip of lace and glue it around the jar at the height that you like. 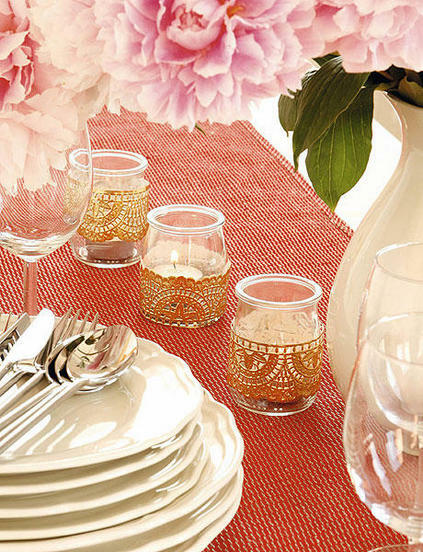 You can choose a plain white lace or to spray it in gold or silver for a festive table. 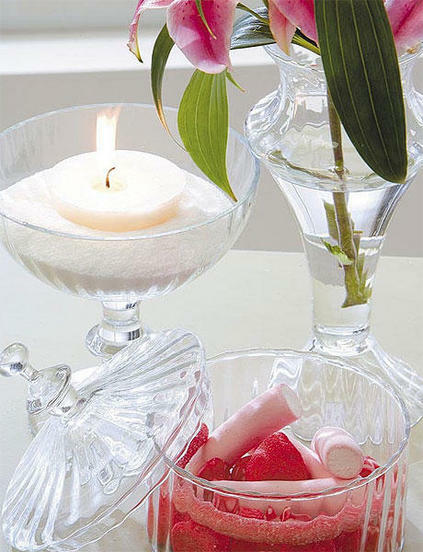 To make this centerpiece we used elements of different heights and materials: such as Blomster glass candlesticks from Ikea, combined with a glass bowl and a glass candy jar. Small and scented flowers, placed in an iron chandelier with colorful candle holders are the stars of this small floral centerpiece, perfect for decorating a coffee table. Easy and beautiful. 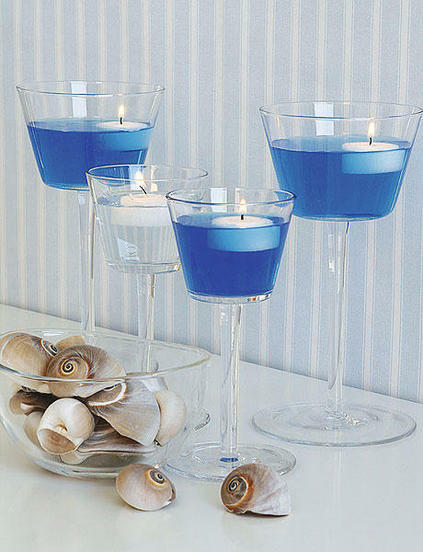 Select cup-shaped candlesticks (here: Blomster from Ikea) fill them with blue colored water and place in each a floating candle.